Pope Francis has appointed Fr. 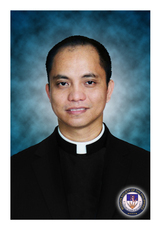 Socrates Mesiona, M.S.P., as apostolic vicar of Puerto Princesa, Philippines. Socrates Mesiona was born in 1963 in Tagbilaran, Philippines, and was ordained a priest in 1989. He holds a licentiate in missiology from the Pontifical Gregorian University, Rome, and has served in a number of roles. He also was member of the council and subsequently superior general of the Mission Society of the Philippines. He is currently national director of the Pontifical Missionary Works. He succeeds Bishop Pedro D. Arigo, whose resignation from the pastoral care of the same apostolic vicariate was accepted by the Holy Father. The Apostolic Vicariate of Puerto Princesa has a population of some 606,000 with about 413,000 Catholics. They are served by about 50 priests and the same number of religious.